Ninetales aka Katrina is a witch. She is a member of the unsorted masses of Hogwarts students just off the train eagerly crowding around the Sorting Hat. 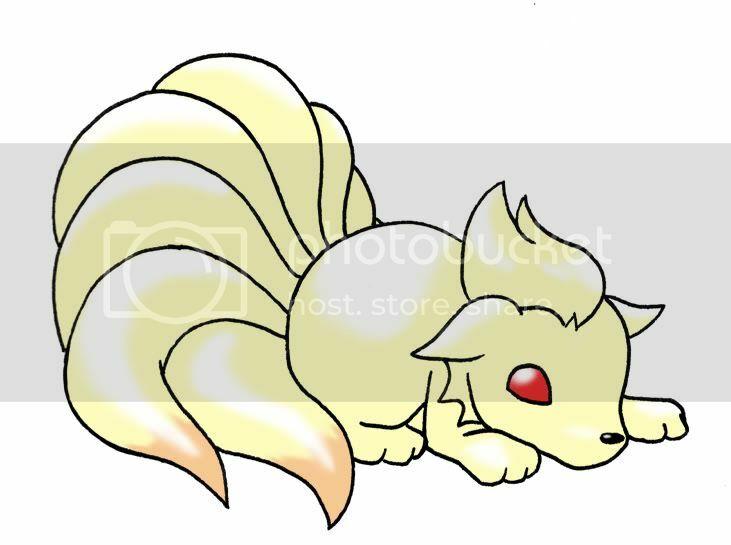 Ninetales is a fox-like PokÃ©mon that have nine tails, hence its name. They are mainly covered in a light, cream-colored fur, while the tips of their tails are orange. On top of their head is a large tuft of hair, similar to its pre-evolved form though much more unruly. It is more than likely based off of the Japanese folktale of nine-tailed fox demons.